In addition to Richard Newton Lecture Series. Verification of participation required to be submitted with Certificate Completion Application. Certificate Completion Application must be submitted by last day of the semester in which all requirements will be complete. Is this certificate only for students in the College of Engineering? No. This certificate is for any registered UC Berkeley student from any major. Can I count the same courses towards my major/ minor towards the certificate? Is it okay if they overlap? We will accept courses for the certificate overlap with your major/minor requirements. What is the difference between INDENG 95/195/295? These course numbers are all for the A. Richard Newton Lecture Series (Distinguished Innovator Lecture Series). Freshman and Sophomores should sign up for INDENG 95; Juniors and seniors, INDENG 195; and graduate students, INDENG 295. Do I need to receive a minimum grade for these courses? Students must successfully complete coursework applied toward the Certificate by earning a C or better for letter graded courses and Satisfactory or Pass for non-letter graded courses. May I request to have courses not on the approved list to count toward the Certificate? Courses not listed on the approved list may be considered for credit toward the Certificate. Courses must be pre-approved by completing the Request for Course Substitution Form. Lower-division courses (<100 series) are not accepted. What information is required for the program participant verification? How long will it take to receive my Certificate after submitting the Certificate Completion Application? Each term, SCET will review the Certificate Completion Application after the end of the term. Eligible participants will receive their Certificate via email within one month. 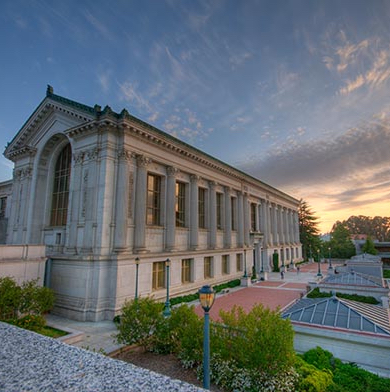 Please direct all inquiries to the SCET Director of Academic Operations, Jesse Dieker, at jdieker@berkeley.edu.